The natures generator is comprised of 2-natural ways to generate free electricity. The first is through the included solar panel(s) and the second is through the wind generator port, wind generators can be purchased separately. The system consists of a battery pack that stores electrical energy, state-of-the-art electronics that convert 12-Volt to normal, everyday household electricity. 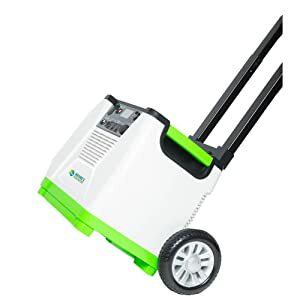 In addition the natures generator does not require any gas to run and also does emit any toxic fumes like standard gas generators can, not to mention it does not produce any sound. With the included solar panel(s), the natures generator is a complete solar electric production and storage unit. Generators are self contained power which generate their own electricity by use of a solar panel or wind generator. It generates its own electricity and stores the electricity for use when you need it. The gold system includes the nature's generator, 100-Watt solar panel and cart, universal heavy duty cart, app access and a 1 year warranty. Nature's Generator is comprised of two natural ways to generate free electricity - solar and wind power. The Nature's Generator Gold System couples the power of the Nature's Generator with a Nature's Generator Power Panel. 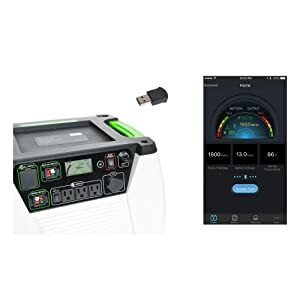 The Nature's Generator stores electrical energy in its internal battery and uses state-of-the-art electronics that convert 12-Volt power to 120-Volt everyday household electricity; it provides 720 Watt hours of run time. The Nature's Generator does not require gas to run which makes it the perfect emergency and backup power source for use inside your home. 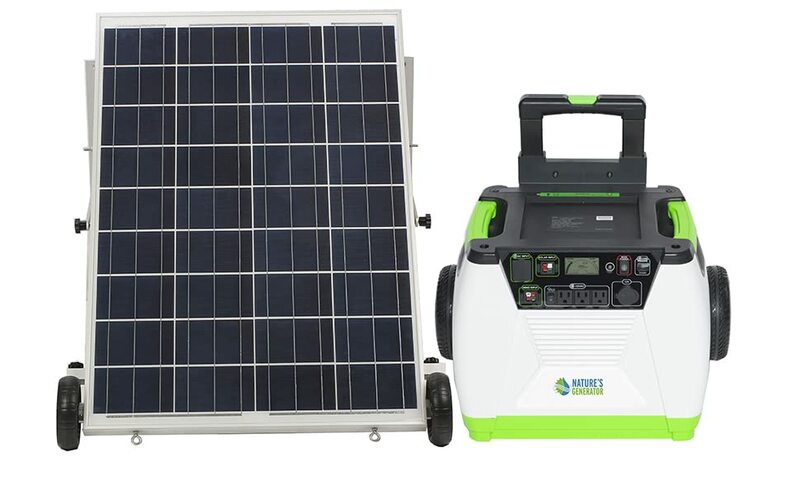 With the included Nature's Generator Power Panel you can keep your system charged and ready to go essentially creating your own solar power production plant. Power Panel: 40 x 6 x 30 in. Included cart allows for easy movement and transportation of the Nature's Generator. 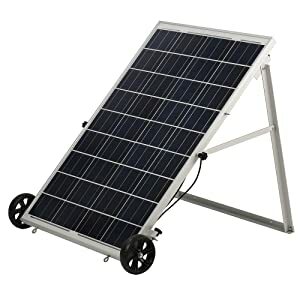 100Watt polycrystalline power panel includes frame with wheels for easy movement and stand with adjustable tilt options. Included Smartkey dongle allows you to sync the Nature's Generator via Bluetooth with the Nature's Pulse app to keep track of battery level and system use.